You may know that nuts are packed with fat and calories. 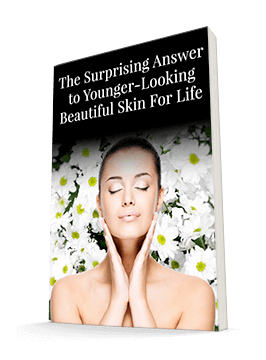 But new research is showing that they might be a remarkable weight-loss aid. How can that be? This research is finding some surprising answers. There have been many studies that indicate that people who eat nuts and legumes live longer and are healthier. But since nuts are so calorie dense, researchers were surprised to find that they can also help with weight loss. Nuts contain 160 to 200 calories per ounce - and you get more than an ounce in just one handful. Richard Mattes of Purdue University is finding some very interesting connections between nuts, which contain more calories than often-condemned processed foods, and weight loss. According to his research, satiety is a key component in nuts' secret. Satiety helps you feel full - and of course, when you're full, you eat less. 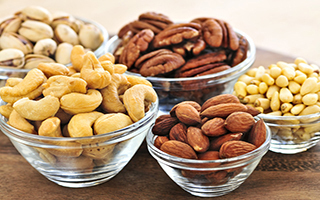 Protein, fiber, and unsaturated fats all contribute to a feeling of satiety, and nuts are full of these. And since nuts are crunchy, even the simple act of chewing helps you feel like you've eaten more. Since we tend to snack considerably, the average person is consuming an extra 580 calories per day outside of meals. But when we eat nuts, we eat less later, which helps make up for the high-calorie choice. For some people, nuts are hard to digest. The cell wall of the nut is tough, so you may not absorb up to one-fifth of the fat they contain. There's even weak evidence that they can cause you to burn more energy just from sitting. And while it's true that nuts do contain fat, it tends to be unsaturated fat, which isn't associated with heart disease like saturated fat is. Still, it's important to remember that they are high in calories, so don't overdo it - two cups could contain up to 1,600 calories. So it's important to keep an eye on portions. If you're a snacker, try reaching for nuts the next time the urge for something crunchy strikes. They're a much better choice than chips. Eat a small portion, and you'll likely find that you feel fuller longer, and snack less throughout the rest of the day. Small changes like this add up, and you may find that it's easier for you to maintain your weight - or even take some off!